Call it a walk-back, a cleanup or a clarification. Just don’t call it over. President Donald Trump on Tuesday did something he rarely does in asking for a do-over of his comments about Russia meddling. But he provided far more clarity a day earlier, when he declared that “we’re all to blame,” and expressed confidence in “both parties” -- American intelligence agencies and the Putin government. What the president said Tuesday will probably be enough for many of his supporters, on Capitol Hill and among friendly pundits, to declare the episode to be in the past. The questions raised by Monday’s comments -- up to and including what Trump and Vladimir Putin actually discussed privately --remain as relevant now as they were then. The question for Trump allies is whether they’re inclined to continue to ask them. After the president's comments, it is clear every Republican candidate will be asked if he or she believes the intelligence community's assessment that Russian agents sought to disrupt U.S. elections and whether Trump is doing enough to stop them moving forward. On the other end of the spectrum, every Democrat will likely be asked if he or she would vote to impeach the commander in chief. The Democrat running against Texas Sen. Ted Cruz was asked the question again Monday and said once more that he would. Candidate for U.S. Senate from Texas, Beto O'Rourke speaks during a news conference at the Hidalgo Memorial Park in Hidalgo, Texas, June 11, 2018. 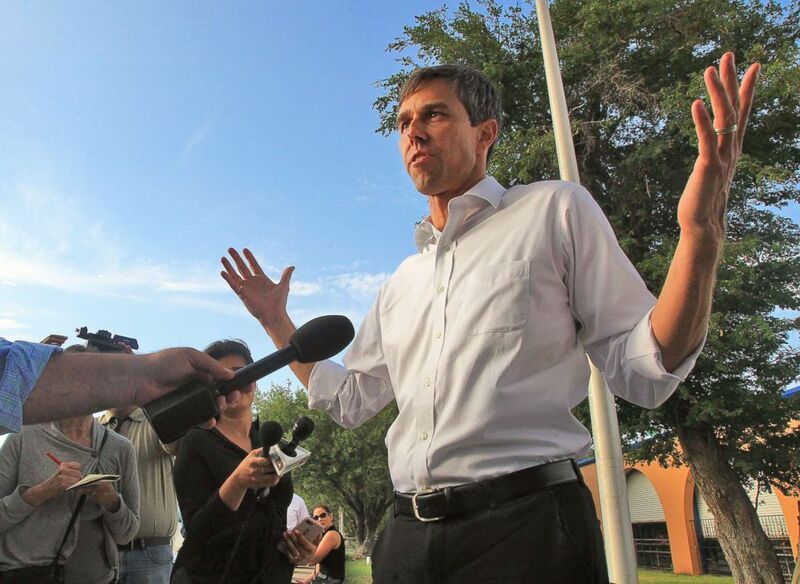 Back in April, Rep. Beto O'Rourke, who has been raking in cash for his fight against Cruz, said he had seen enough to support impeachment. “I've seen an attempt, no matter how ham-handed, to collude with a foreign government in our national election," he said in an interview. This week, a number of Democrats used words like “treacherous” and “treasonous” to describe the president’s performance in Finland. While House Democratic Leader Nancy Pelosi has for some time urged her colleagues not to use the “I-word.” Statements like these to describe the president’s behavior invite follow up questions about what exactly Democrats would do to respond to this White House -- if they held power. 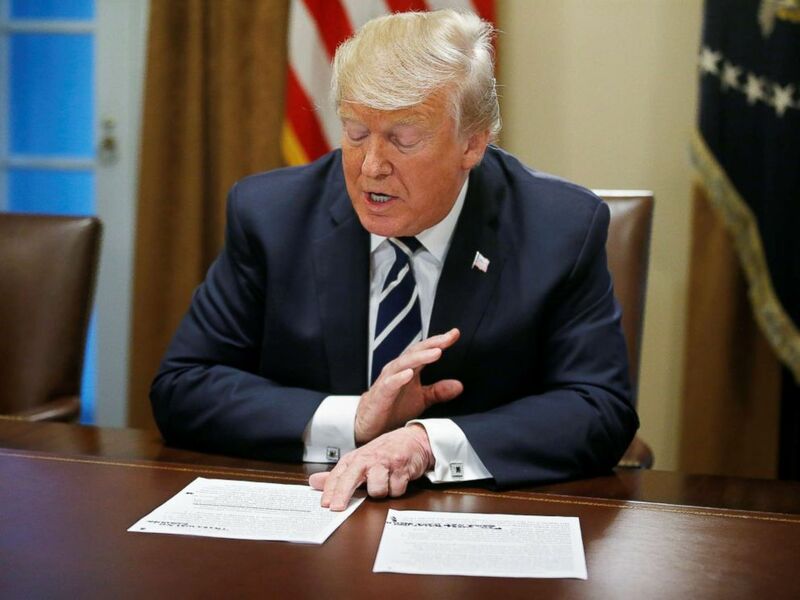 Keenly aware there was a problem after his news conference in Helsinki with Putin, Trump met with top advisers Tuesday morning to discuss what to do about it. President Donald Trump reads from prepared remarks as he speaks about his summit meeting in Finland with Russian President Vladimir Putin at the start of a meeting with members of Congress at the White House in Washington, July 17, 2018. Sources tell ABC News the president himself came up with the idea of the "would" versus "would not" clarification, telling aides he had seen the clip, realized he misspoke, and wanted to make a statement. Those involved with crafting the statement were: White House adviser Steven Miller, press secretary Sarah Sanders, Deputy Chief of Staff for Communications Bill Shine, Director of Strategic Communications Mercedes Schlapp and National Security Adviser John Bolton. The president also discussed it with Newt Gingrich, who had called on Trump to clarify his comments in Helsinki on “the U.S. intelligence system and Putin,” calling the remarks “the most serious mistake of his presidency.” Late in the process, Vice President Mike Pence also asked to see the statement. The line "it could have been a lot of people" was not part of the prepared remarks. The president's aides were also not particularly surprised the president said it. President Trump holds a cabinet meeting at 11:30 a.m. The House Transportation Subcommittee holds a hearing with officials from FEMA and the U.S. Army Corps of Engineers on the upcoming hurricane season at 10 a.m.
Democratic Rep. Tulsi Gabbard of Hawaii and GOP Rep. Walter Jones of North Carolina hold a press conference on a resolution to "reclaim Congress's constitutional right to declare war" at 11 a.m.
"Listen, I don’t accept the president’s comments today. If he wanted to make those comments, he should’ve had the strength to make them in front of Vladimir Putin." -- Sen. Mark Warner, a Virginia Democrat and Vice Chairman of the Senate Intelligence Committee.